Picture a map of the world. Maybe you’re imagining a political map, with colorful nations interlocking like puzzle pieces. Or maybe you see yellow deserts, green splashes of forest, and wrinkled mountain ranges. Either way, your mind’s eye is likely busy with the parts of the planet that rise above its waters. What’s between the continents and islands is merely the negative space that sets them off: vast and mostly empty stretches of blue. For more than 25 years, Craig Smith, an oceanographer at the University of Hawaii, has been studying one of these “blank” spaces: the stretch of the Pacific you’d see from an airplane window as you flew the 4,000 or so miles from Central America to Hawaii. To you, this seascape would appear as hours upon hours of uninterrupted waves. But ask Smith what the region, known to scientists as the Clarion-Clipperton Zone (CCZ), is like beneath all that water, and he’ll describe a strange world far beyond the reach of sunlight. It’s “a vast area of rolling hills and valleys, ridges and troughs, punctuated by underwater mountains, ” he says, populated by an enormous array of bizarre-looking creatures, both huge and tiny, known and unknown. And on the open, muddy plains of that world, scattered among those strange communities, are “black, potato-size metal blobs sitting on the surface of the sediment.” They may not look like much, but these blobs are attracting a lot of attention, putting both the region’s anonymity and its inhabitants in jeopardy. Known as polymetallic nodules (or manganese nodules), the deposits represent a submerged fortune in copper, nickel, manganese, cobalt, and other coveted minerals used to make the technologies on which the modern world relies. In recent years, would-be miners have begun targeting mineral deposits throughout the deep sea, from the Mid-Atlantic Ridge to the Indian Ocean to the back-arc basins of the southwestern Pacific, in a spurt of activity widely characterized as a new gold rush. So far, the requests from mining companies for exploring the CCZ outnumber all the rest. This stretch of sea won’t be negative space on the map for much longer. Over the course of two and a half decades of research, Smith has spent the better part of a year in—or, more accurately, above—the CCZ. Studying the deep ocean requires long months on research vessels sending box corers (for sampling sediment) and remotely operated vehicles (ROVs) down to the distant seafloor, and then much longer land-bound periods of analyzing the data and animals collected. That long history makes Smith one of the world’s leading experts on what goes on there, but he’s quick to note how little he, or anyone else, really knows about it. At 2.3 million square miles, the CCZ is nearly the size of the contiguous United States. “Imagine trying to characterize the biodiversity of North America in just 300 days,” he says. Now imagine trying to do it from a ship bobbing three miles above it. 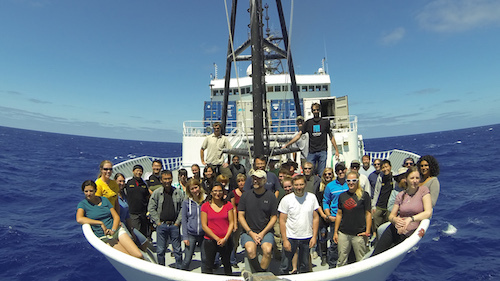 In February and March of last year, Smith and 21 other scientists set out on a two-month research cruise. Along with exercise equipment and comfort food (like pork chops and strawberry cheesecake) to keep up morale during the long weeks at sea, they packed their ship with odd equipment specially designed for plumbing the depths: a mega-corer, an epibenthic sledge, a respiration lander, a baited trap. When they reached their destination—a 12-square-mile area on the eastern edge of the CCZ, about 1,000 miles off the coast of Mexico—they sent an acoustic command to a mooring device nearly two miles beneath them. 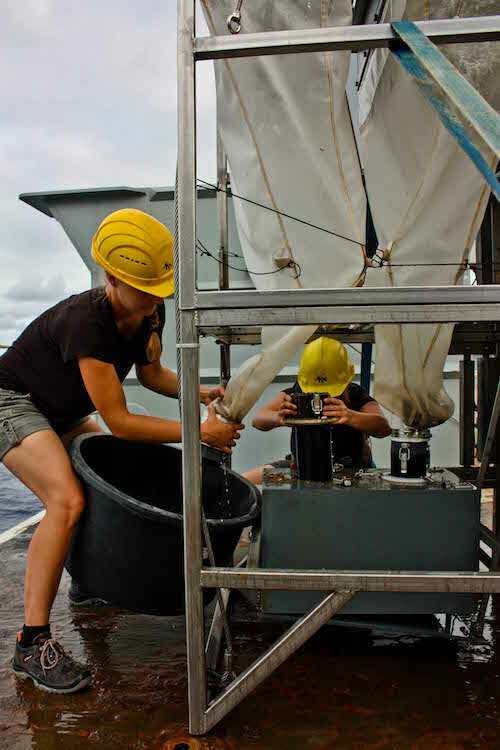 This released another strange contraption, which they had deployed a year and a half earlier: a sediment trap that had been catching bits of organic matter filtering down from the upper levels of the ocean. In the expedition’s blog, Smith compared it to “the dust that accumulates in the dirty corner of your basement. Ahh, but this is delightful sustenance for the starved animals living in the cold, dark deep sea!” Those drifting particles help sustain life in the deep, and samples of the captured gunk would tell the team the quantity and quality of food material “reaching the sea cucumbers and brittle stars of the inky depths.” Smith and his team want to know what the region’s food supply is like so they can hypothesize how it might be affected by the plumes of sediment stirred up during mining. If this seems like a pretty basic question for these scientists to be addressing, it’s because it is. The area studied during Smith’s most recent cruise is indicative of the lopsided race underway between industry and science. Since 2013, those 12 square miles have been leased for mining exploration to the U.K.-based company Seabed Resources, a subsidiary of Lockheed Martin UK that has claim to this and one other area of the CCZ, 2 of 13 leases currently on the books targeting nodules in the region. (The largest is nearly 29,000 square miles, or about the size of Panama.) Yet, as in many other parts of the zone, biologists had never comprehensively sampled its seafloor until it was targeted for mining. The International Seabed Authority (ISA), a branch of the United Nations established under the U.N. Convention on the Law of the Sea, governs mining in international waters but has yet to determine the details of how it will regulate the activity. Between 1984 and 2011, a span of nearly three decades, the ISA issued just six leases for mining exploration; in the past five years it has granted 21. So far, the permits don’t go beyond exploration, but once certain conditions are met, the leases are expected to roll over into ones that allow commercial-scale mining. The goal of Smith’s 2015 cruise was to get what scientists call baseline data—information on the regular, undisturbed functioning of the ecosystem—while they still can. (The cruise was part of a project called Abyssline, a combination of “abyssal,” for the deep zone of the ocean in which the CCZ is located, and “baseline.”) Later, scientists will compare their studies of a post-mining ecosystem with this information to see what has changed. In an irony of the modern ocean, much of the science being done in the CCZ, including the Abyssline cruise, is possible only because mining companies are there to fund it; they need baseline data before they can get full-fledged mining permits. Altogether, Smith estimates the study site is home to well over 1,000 species, 90 percent of them new to science, and all within an area zoned for mining. So far, nobody has a complete understanding of the sea life dwelling in any part of the CCZ. 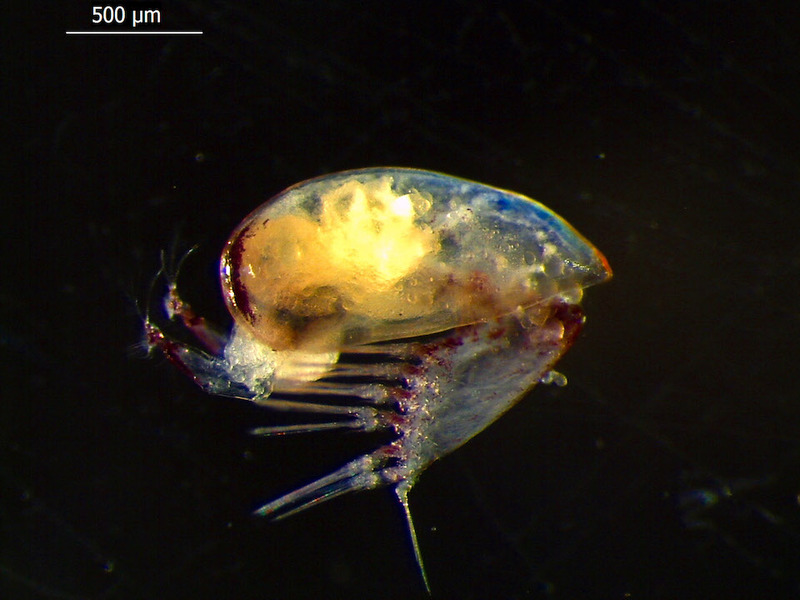 Even more mysterious is how broadly distributed these species are, how they interact with one another, or even where and how larvae originate—all key information if you’re trying to predict extinction risks. What scientists do know is how unaccustomed to disruption these species likely are. Under normal circumstances, the deep sea is one of the least changeable ecosystems on earth. Everything happens slowly there—from the metabolism of, say, a deep-sea shrimp to the flow of food (just 2 or 3 centimeters of sediment will accumulate over 1,000 years) to the development of mineral nodules, which can take a million years to grow by a few millimeters. The combination of how little we still know about the abyssal plains, the utter novelty of mining it, and how rarely it experiences any significant change makes it hard for scientists to predict what industry’s impact could be. Though researchers have looked for creative ways to approximate mining’s effects on deep-sea life, the experiments that have been done are so far from what mining will actually be like—in terms of scale, intensity, and duration—that their designers caution against generalizing the results. For now, we just don’t know. And “if we get it wrong, if we don’t use the precautionary approach, there’s no going back,” says Smith. These systems would require centuries or more to recover. Elsewhere in the ocean, mining companies are eyeing the crusts of undersea mountains and the mineral-rich structures that form at the mouths of underwater volcanoes, known as hydrothermal vents. In those cases, companies would send to the sea bottom large robots capable of cutting and grinding. (The first such project, in the territorial waters of Papua New Guinea, is expected to begin in 2018. The mining company Nautilus Minerals says it will begin underwater testing of its three massive “seafloor production tools,” which can weigh as much as 310 metric tons, later this year). Without adequate sampling, Smith had no direct way of knowing which areas hold the most species diversity or serve as important feeding or breeding grounds for populations that spread elsewhere. Instead, he and his colleagues made their best guesses. Based on general knowledge about how organic carbon moves through the deep sea, they divided the CCZ into nine subregions. These zones likely receive varying levels of food supply, and therefore, one may assume, host different kinds of animals. Some four months after Smith and his colleagues returned to shore last spring, another research ship headed to a different stretch of the big, blank blue. 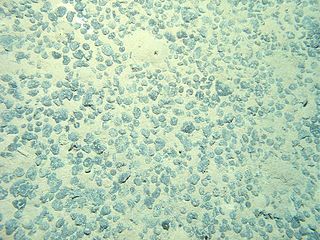 Like the CCZ, the Peru Basin is an abyssal plain rich in nodules and thousands of feet below the surface. It’s a place that scientists often think about when they try to imagine the CCZ’s future. That all started on a fall day in 1987, when a biologist named Gerd Schriever was driving in the German countryside. He noticed farmers plowing their fields and stopped to watch. The way the plowshares disturbed the upper layers of soil, he thought, might help him with a problem he’d been struggling with: how to simulate the effects of a newly proposed industry, mining parts of the seafloor long thought too deep for humans to access, might have on that distant world. Soon after, Schriever and a colleague went to a farming equipment store and bought 200 metal plowshares. Two years later, they were aboard a ship dragging nearly four miles of cable behind it; at the end of the line was a metal frame with plowshares fastened to the ends. Over the course of three weeks, the blades made 79 passes through the Peru Basin, scoring gouges into its sediment. The experiment, Schriever acknowledges, doesn’t directly compare to mining, in part because it plowed the nodules into the seabed rather than removing them. But it was the best approximation his team could come up with: a large-scale impact in the deep sea that scientists could observe for years to come. Twenty-six years—an eyeblink in abyssal time—after he and his colleagues became what he jokingly calls “the first deep-sea farmers,” Schriever returned to their “field” in the Peru Basin last fall. The team sent an ROV to the seafloor, and he waited eagerly for new images to arrive from the depths. The pictures were much higher in quality than those taken with the technology of a quarter century ago, but the tracks and gouges they depicted looked eerily familiar to Schriever. They appeared just as they had when he last saw them, as unaltered as the footsteps left behind by astronauts on the moon.